Discussion on [Open Alpha]RIGID - Ephesus ISROR Files - Cap 100 - Evolutionary server within the SRO PServer Advertising forum part of the SRO PServer - Discussions / Questions category. Currently this the first time we open the server for the public, so we have to test that in case anything pop up. -Why this server is Evolutionary? -When do you expect us to launch? We can't give an exact date at the moment unless we are sure that everything is smooth, also we need to apply some updates and use players suggestions! *This is just a registration page not the website. **This is just a forum to collect ideas instead of collecting them in the thread. -Reinforce stones drop in game. -Genies quest provides only DG9 items and stones. -Modified the SurvivalArena user counts to the half for each mode for example 8/8 will be 4/4. -Modified the number of the guilds required to start the FortressWar to 1 guild and level 1 guild. -Added 10mins cooldown for zerk scrolls. -Added 10mins cooldown for reverse return scrolls. -Added 10mins cooldown for resurrection scrolls. -Removed awakening enhancement scroll from NPC. -Trap for Spirit cooldown decreased to 5secs. -Increased the rates for equipment exchange gold to 10x. - Reverse & Resurrection scrolls cool down decreased. - Another Skills crash (Fixed). - Improved the server stabilty. - Unblocked the following countires AF, BH, CN, ID, IL, IN, IQ, IR, JO, JP, KR, KW, LB, RC, RI, RL, SA, SY, TH, TW, VD, VN, YD, YE to be able to play in our server. -3rd box stays as it. -Edited alchemy max plus to be +15 with adv elixirs. -Edited the Items that above +15 with adv to be +15 with adv. -Fixed the pet summon duplication bug. We would like to thank everyone for the big support and the good community we are achieved. -MagicPOP card added to daily quest reward. -Increase drop rates of magic stones. -Rigid exclusive ranking system in game. -Fixed the pet summon duplication bug. -Sealed Reinforcement/Magic Runes was removed from webmall and added a new crafting tab for this runes..
-Fixed the character select error in lobby if the player have over than 4 characters. -Fixed the advanced elixir problem in the alchemy system. -Added defined error messages for SurvivalPVP conditions. -Weapons dropped from monsters cant be repaired bug fixed. -Fixed the stun skill to work on ridden pets and carts. -Murder cant use stat and skill item. -New PVP event system (will be tested later). - Fixed item link display bug in chat window and bug for inventory slots. - Fixed sound option bug in option menu. - Fixed effect option bug in option menu. - Added confirmation window for selling or dropping rare items. 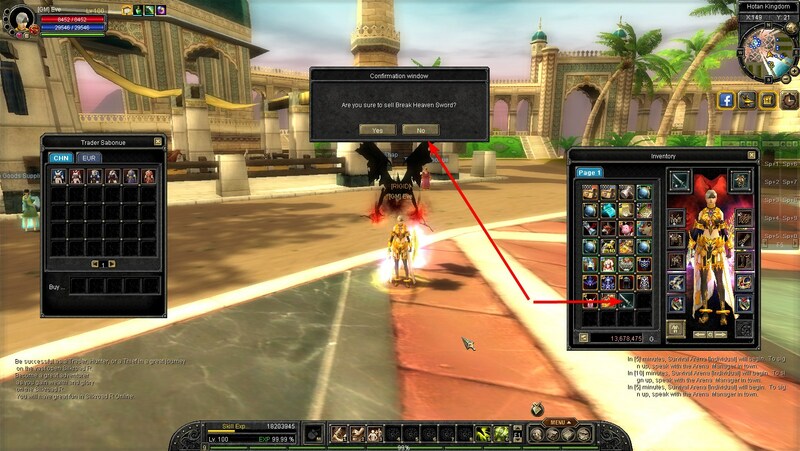 - Added confirmation window for dropping items or gold. - Global chat added to the chat blocking system. - Added more security for the open market system to check the character gold before you can buy the listed item. - Added the growth pet to the scope attack target list even if the pet owner is in normal state. 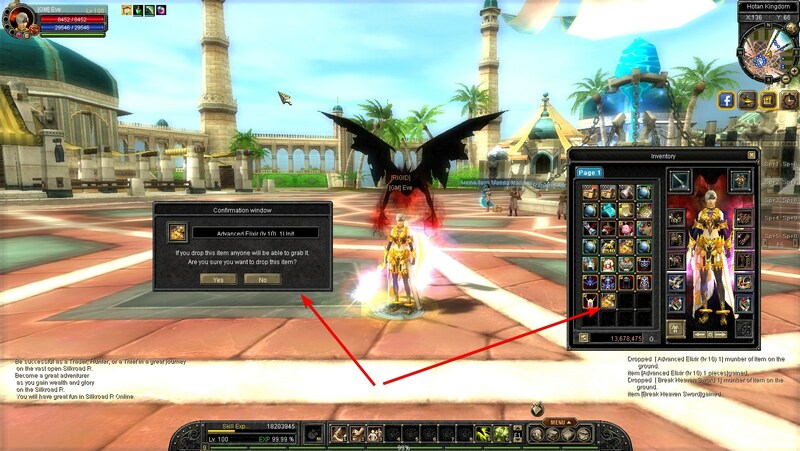 - Fixed a damage return bug releated to the pets and characters in the free pvp system. - Fixed showing invalid magic blues for items. - Fixed a bug when the items dropped with a invaild dura that cant be repaired at any blacksmith shop - Improved the ingame bot server side configuration. - Improved the client and server stability. - Added new tab in Battle Arena rewards. - Elixirs and powder success ratio adjusted. --You will not get notification anymore. --You cant use the scroll if you are dead. --You cant use the scroll in fortresswar. --You cant use the scroll in town. --You cant use the scroll in prison. --You cant use the scroll in battle arena. --You cant use the scroll in survival arena. - Fixed skill delay that you cant keep a button pressed to repeat a skill. - Disabled showing the selected monster hp in the notification window. - Fixed SurvivalPVP Party matching system. - Fixed the stun skill logic. - Removed the 3 minutes character delete system. - Fixed the bugged item linking after the last few patches. - Fixed the pet attack logic, it will not give you murder status anymore. - Fixed the skill cast logic it wont give you murder status anymore. - Fixed the invalid magic options. - Fixed the SurvivalPVP system conditions. -Fixed item linking with rigid premium. -Fixed the teleport crash. -Fixed the job suite crash. -Improved the CTF monsters to spawn as STRONG. -Changed the CTF monsters to higher level. -Fixed the craft window crash. -Exclusive feature now you can mount the fortress towers and attack from inside. Only one guild member allowed and have to own engineer rank. Talk to the fortress NPC so you know how to mount the towers. -Fixed bug in item linking in chat, causes the server to not find the item. -Fixed bug in the server attack system. Good luck, hope it will be a good server, not easy to work with isro files. Interesting. Gonna check this one out! what about a free bot? Finally a nice and simple system! Good luck and I hope to improve your content. well where can we find 10d sun? and max plus? wow lets check, whats estimated time?